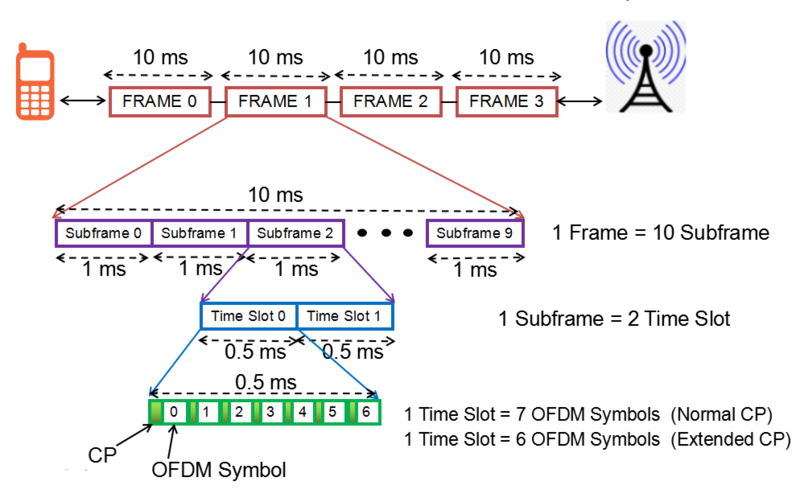 Time duration for one frame (One radio frame, One system frame) is 10 ms. This means that we have 100 radio frame per second. Number of slots in one subframe is 2. This means that we have 20 slots within one frame. And one slot is made up of 7 small blocks called ‘symbol’. As LTE FDD is full duplex system, means both the downlink and uplink transmission happens at the same time at different frequencies. 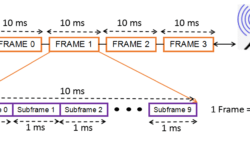 In TDD, the transmission is divided into time domain, means at one moment of time either downlink subframe is transmitted or uplink. 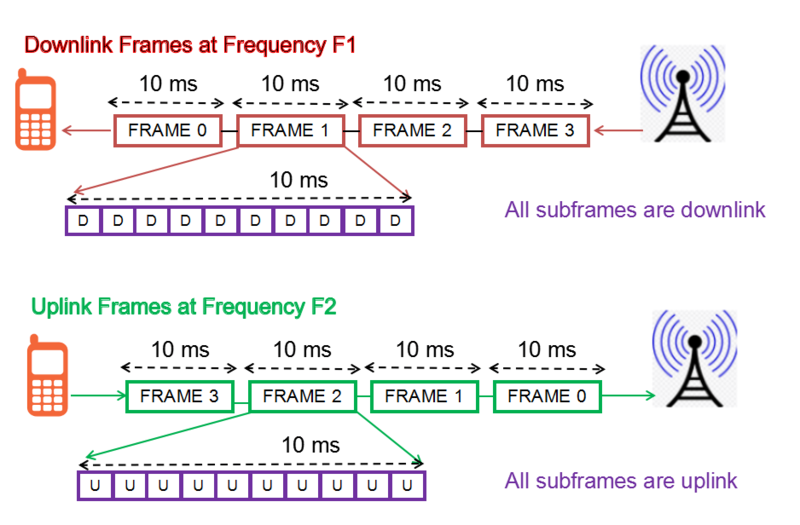 As one can see in above image, one frame is divided into 10 subframes (1ms each), and that subframe can be either downlink, uplink or special subframe. And there comes a Special subframe which comes when there is transition from downlink subframe to uplink subframe. 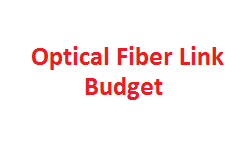 It has three parts – DwPTS(Downlink Pilot Time Slot),GP (Guard Period) and UpPTS (Uplink Pilot Time Slot) and all of these have configurable lengths, which depends upon Special subframe configuration. DwPTSis considered as a “normal” DL subframe and carries reference signals and control information as well as data for those cases when sufficient duration is configured. It also carries PSS. 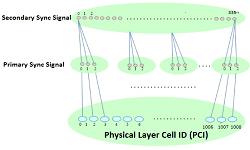 GPis used to control the switching between the UL and DL transmission. 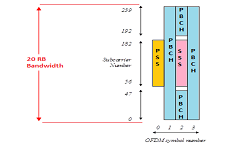 Switching between transmission directions has a small hardware delay for both UE and eNodeB and needs to be compensated by GP. 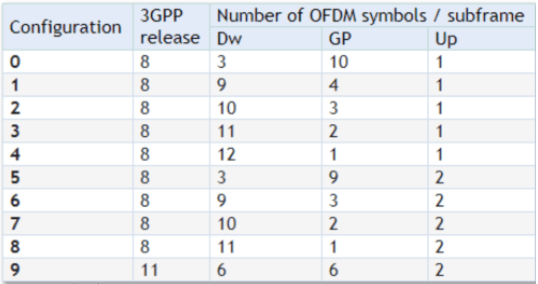 GP has to be large enough to cover the propagation delay of DL interferes. Its length determines the maximum supportable cell size. UpPTSis primarily intended for sounding reference signals (SRS) transmission from UE. Mainly used for RACH transmission.